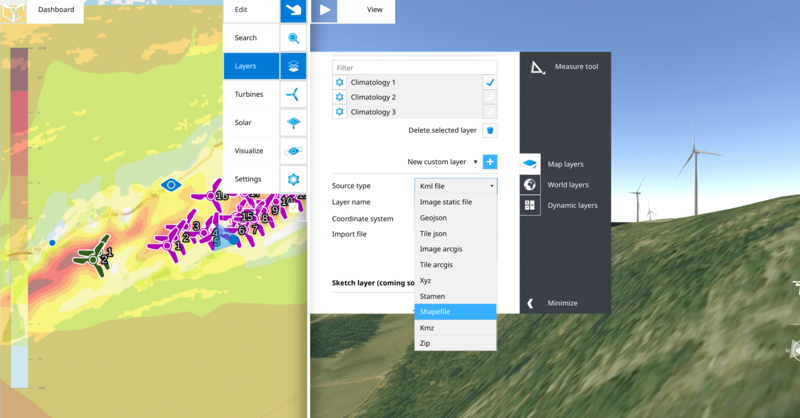 It is now possible to upload your shape- and kmz files into Windplanner. A shapefile usually encloses a minimum of 3 files: vector data (.shp), coordinate data (.prj) and generic data (.dbf). You can import the .zip containing these files, and ensure the right coordinate system is applied. A kmz file consists of a number of files, often generated from Google Earth. Windplanner will import the information from the files, and this custom layer will appear in the 2D map. If you import a panorama photo, it needs to be georeferenced and calibrated. Also, you sometimes have to mask the surroundings to create the correct display of the turbines. Practice makes perfect, we know. However, if you don’t have the time to do it yourself, you can outsource this action to us. Just deliver us your stitched panorama photo, and we will upload a perfectly calibrated and masked photo into your project. 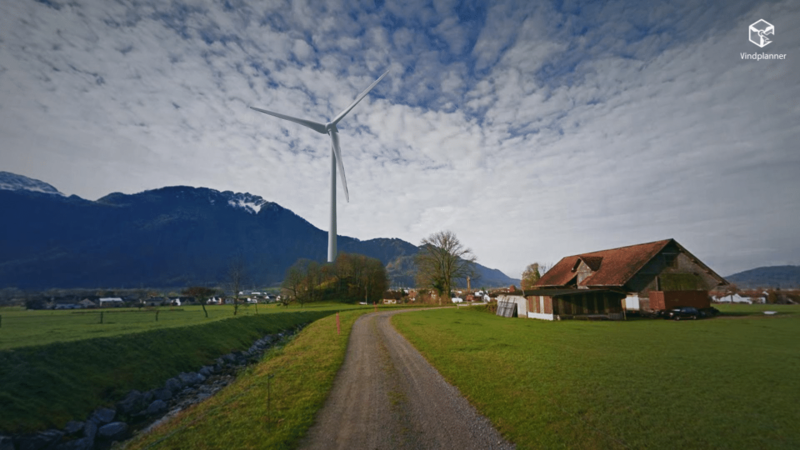 With this service, you will save time and you are 100% sure about the reliability of the photo in Windplanner. Are you interested in getting your personal demonstration? You can schedule your Windplanner demonstration here.